Thomas Mann’s two eldest children, Erika and Klaus, were unconventional, rebellious, and fiercely devoted to each other. Empowered by their close bond, they espoused vehemently anti-Nazi views in a Europe swept up in fascism and were openly, even defiantly, gay in an age of secrecy and repression. Although their father’s fame has unfairly overshadowed their legacy, Erika and Klaus were serious authors, performance artists before the medium existed, and political visionaries whose searing essays and lectures are still relevant today. 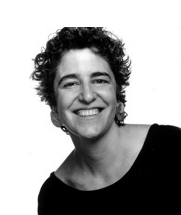 And, as Andrea Weiss reveals in this dual biography, their story offers a fascinating view of the literary and intellectual life, political turmoil, and shifting sexual mores of their times. 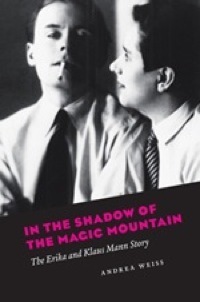 In the Shadow of the Magic Mountain begins with an account of the make-believe world the Manns created together as children—an early sign of their talents as well as the intensity of their relationship. Weiss documents the lifelong artistic collaboration that followed, showing how, as the Nazis took power, Erika and Klaus infused their work with a shared sense of political commitment. Their views earned them exile, and after escaping Germany they eventually moved to the United States, where both served as members of the U.S. armed forces. Abroad, they enjoyed a wide circle of famous friends, including Andre Gide, Christopher Isherwood, Jean Cocteau, and W. H. Auden, whom Erika married in 1935. But the demands of life in exile, Klaus’s heroin addiction, and Erika’s new allegiance to their father strained their mutual devotion, and in 1949 Klaus committed suicide. University of Chicago Press, 2008. 272 pages. “Theirs is a fascinating tale. Outside the pages of the Manns’ own memoirs and essays, or of Klaus’s deeply personal fiction, it’s hard to imagine it more sympathetically told. Beautiful never-before-seen photographs illustrate Weiss’s riveting tale of two brave nonconformists whose dramatic lives open up new perspectives on the history of the twentieth century.